Make a fine paste of ginger and green chillies. 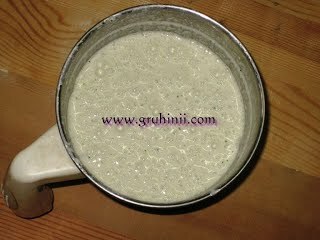 blend all the ingredients except onions in a mixie and make a smooth batter. Add salt to it. The batter should not be very thick. 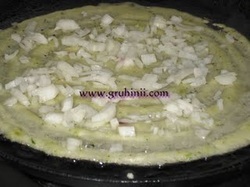 Make thin dosa on a non-stick dosa pan and spread finely chopped onions on it. Add 1 to 2 tea spoons of oil around and roast it until golden color in a medium flame. (Roast one side only). 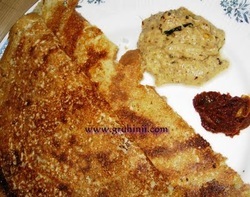 Tasty Rava dosa is ready. 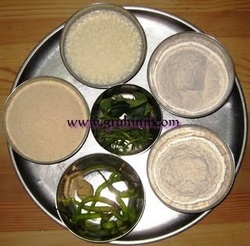 Serve hot..........coconut chutney and ginger chutney are the best combinations.